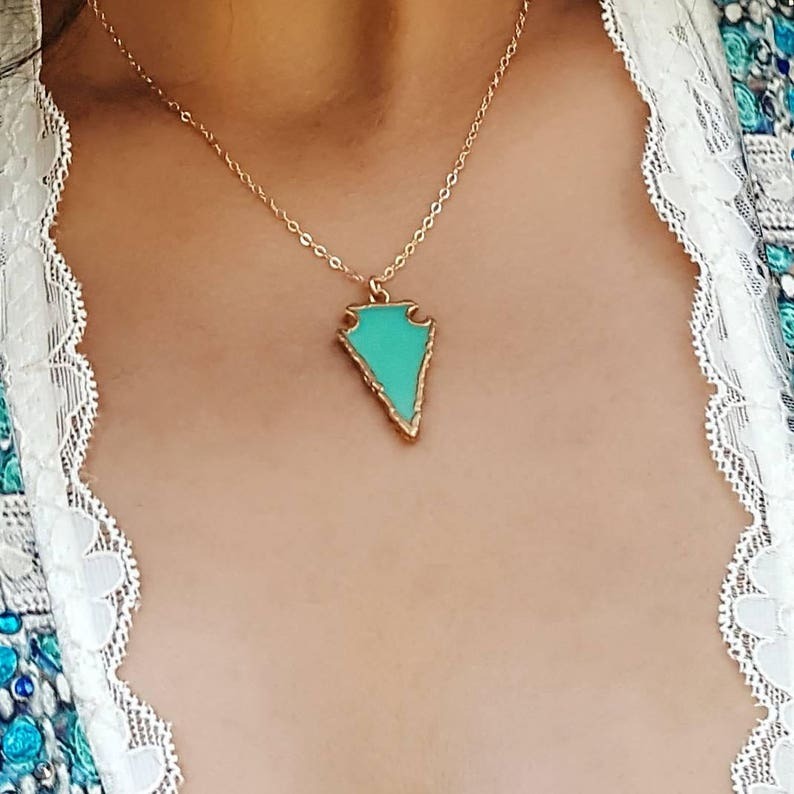 This arrowhead pendant necklace says bohochic and cool style. It's a beautiful necklace that is casual and wearable for everyday. 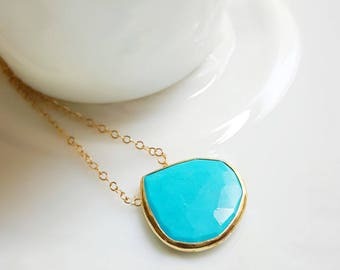 If you like minimal jewelry with a pop of color then this is for you. The gold bezel setting surrounds a pretty green stone, chrysophrase. A pretty milky green gemstone that will compliment any skin tone and outfit of your choice. The ladies who like lucky stones will love this! Arrowheads were worn as jewelry long ago. Native Americans wore arrowhead jewelry as symbols of protection, courage and strength. What a pretty reminder in a piece of jewelry that can become your signature piece. Elizabeth Bayu jewelry is a collection of exclusive, one-of-a-kind riches. I incorporate genuine gemstones in my designs, and so the piece you receive may vary slightly from the one shown, my pieces are part of the same family and while not identical this makes each piece special and singular. We want your shopping experience to be fun, memorable and meet all of your expectations. Custom orders are welcome. If you have questions or special requests please contact me by sending me a message on Etsy. Each item is beautifully packaged with a jewelry pouch, gift box with ribbon and signature stationary, always ready to be gifted. All items are processed within 3 business days and mailed via USPS First Class Mail. Usually your order should arrive within 7 business days. If you require faster delivery, please indicate USPS priority mail (2-3 days).